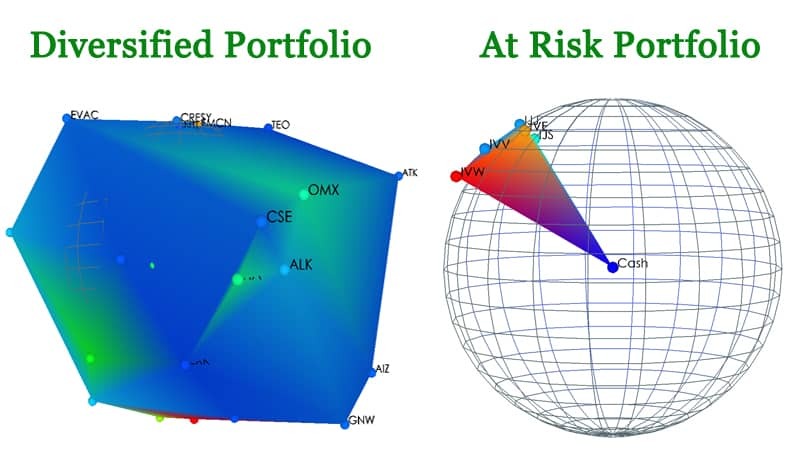 A diversified portfolio is less at risk. Note the larger surface area of a diversified portfolio. What Does My Portfolio Look Like? Please send an email to analysis@gravityinvestments.com. We can provide you with a FREE initial evaluation. Diversify your current portfolios to produce better results!